It’s Time to Mix it Up in the Kitchen! 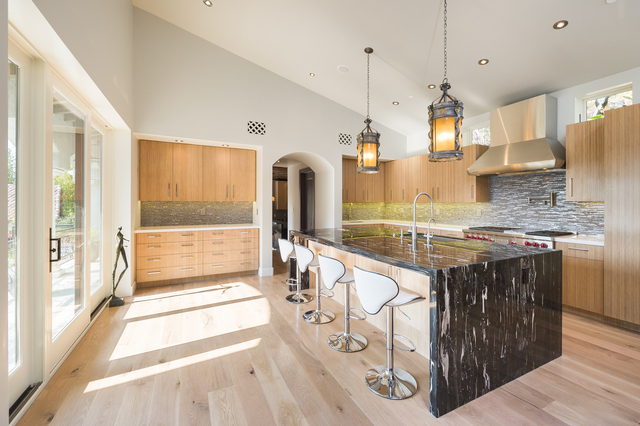 Are you thinking about updating your kitchen or perhaps you have the luxury of building your dream home and are working on the design of your kitchen!?! 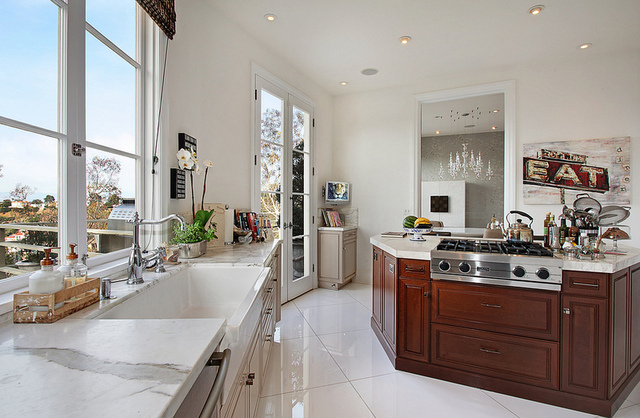 Mixing cabinetry finishes and counter tops has gained major popularity in the last few years! Not only does it create a custom look, but at times it can actually be an advantage to your design budget! 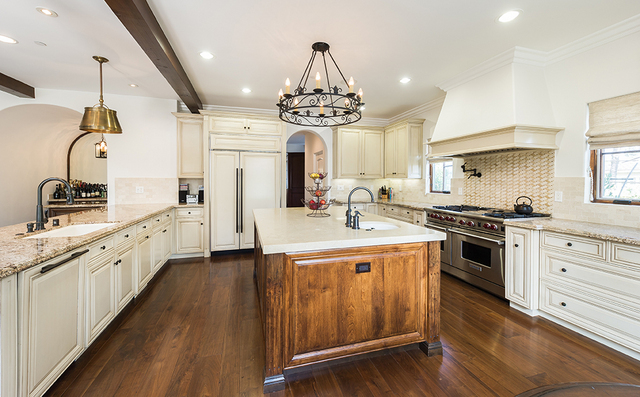 I personally love this look because it adds character to your kitchen plus it can look as if you placed a piece of furniture in your kitchen – for example, if your island is stained in a dark color and your cabinetry is either white or a lighter stain, then the island pops and literally looks like a piece of furniture has been set in the center of your kitchen! If you want to take the mix of design up a notch then consider also installing a different countertop on top of the island than in the rest of your kitchen counter space! 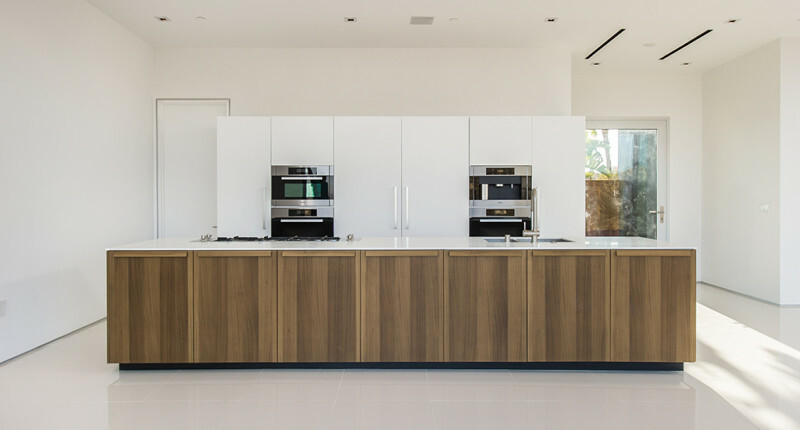 Mixing cabinet finishes and different countertops does take extra thought and planning, however if done correctly, your kitchen – one of the main rooms used in every home – will be the ultimate conversation piece and entertaining space amongst your family and friends! I’d love to hear from you! Tell me about your great design ideas in the kitchen! Keep Dreaming, Designing & Dwelling!!! 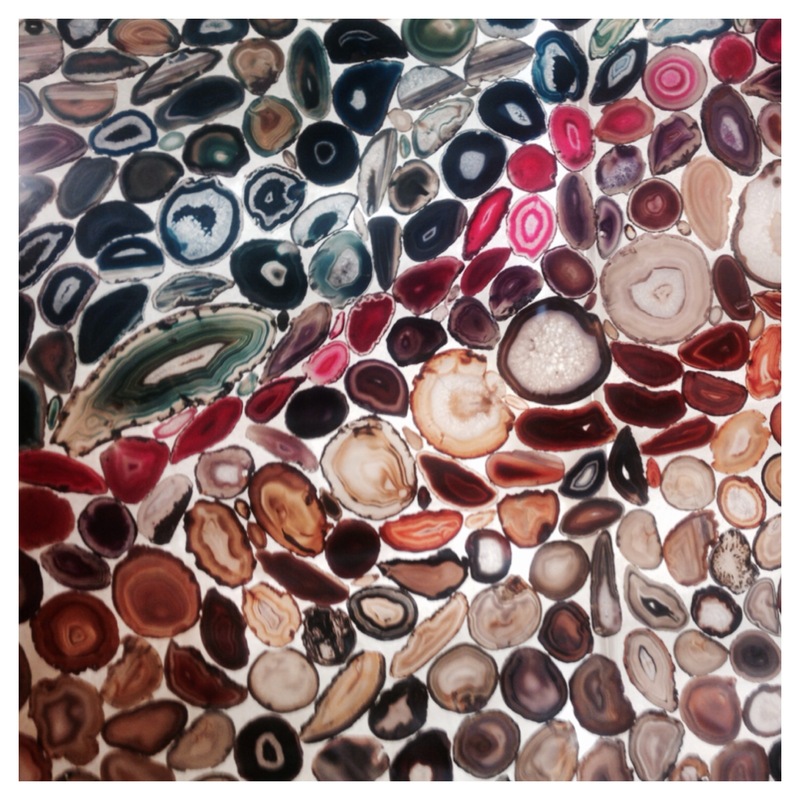 Agate Wall – Seriously In Love! I took this gorgeous photo of a custom designed agate wall in a fabulous Palm Springs area home! No filter was used to “doctor” the photo! The wall is literally this fabulous. I love when the lines of fashion and design are blurred so I wish I could have plucked one of these agate stones off the wall for a show stopping necklace! I’d love to hear from you! Tell me about your great ideas in incorporating fashion into home design! 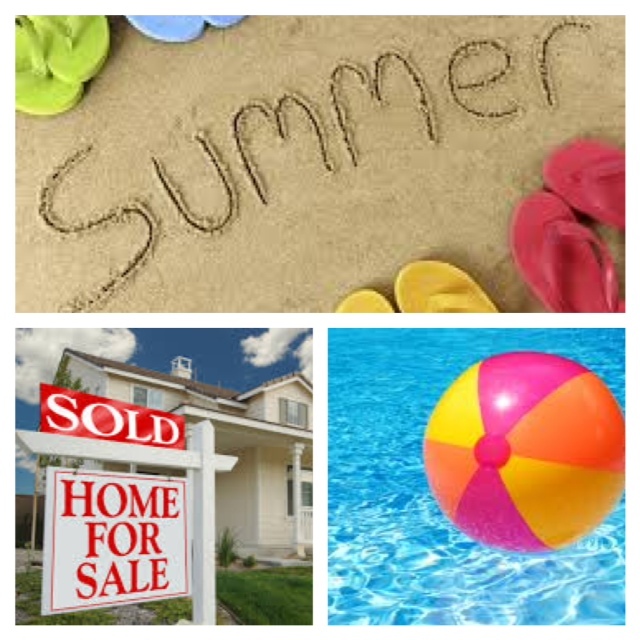 Easy Tips to Help Sell Your Home this Summer! There are pluses to putting your home on the market every season but the summer is a great way to let your home, shine inside and out! Remember summer is a time when families like to relocate because of the break in the school schedule. June is just around the corner so if you are thinking about selling your home or if your home is already “on the market,” I hope these easy tips will help you make your home stand out from the rest of the inventory! 1. Two Words: Curb Appeal! First impressions are everything so when a Buyer pulls up to your property make sure that your home has its best foot forward, because I guarantee the last five houses the Buyers just toured sure did! Beautiful, crisp green grass is key. Make sure that your lawn is mowed weekly and take advantage of the bright summer colors by adding pops of color with either potted flowers or planted flowers in the ground – their little faces are a cheerful way to greet the Buyers as they arrive! 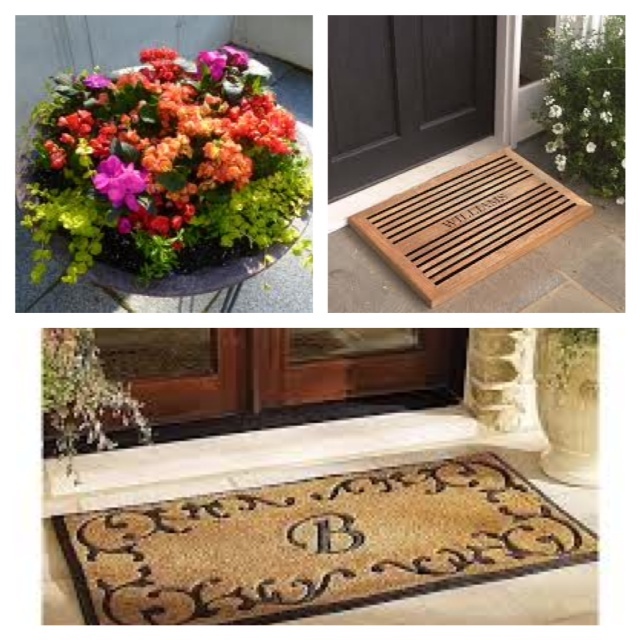 Also, make sure your front door’s welcome mat is new and fresh and not tattered. 2. Your Pool is Cool! If your home has a pool, the summer is a great way to emphasize its “cool factor”. Keep it sparkling by daily scooping out the leaves! 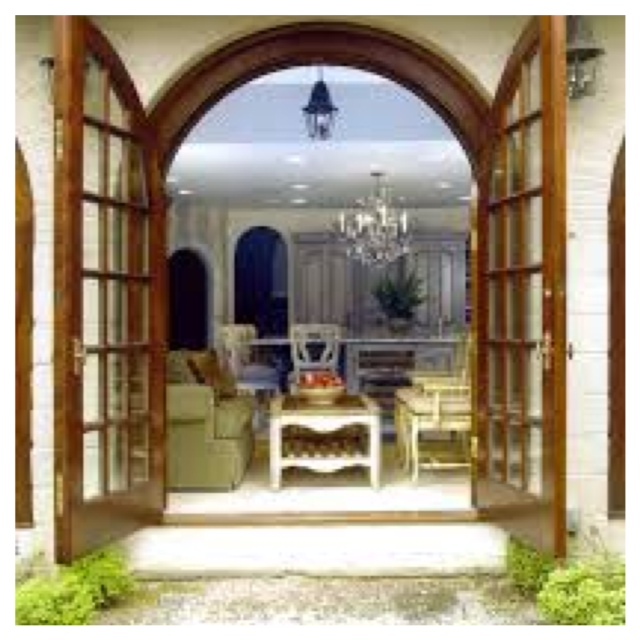 Keep all outdoor spaces around the pool such as decks and terraces and out door furniture clean and de-cluttered! During the cooler fall and winter seasons we keep our windows and doors closed tight and fires lit to maximize the cozy feel, however if you did not air out your home during “spring cleaning” then there is never a better time than now! 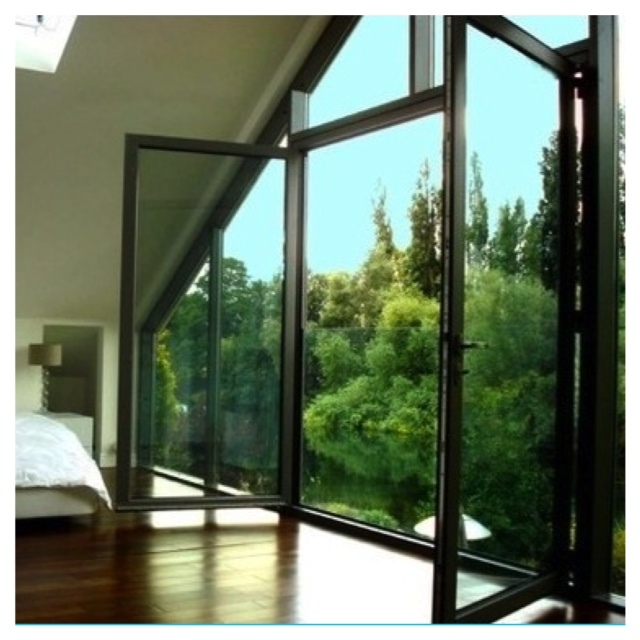 Throw open those heavy drapes, open your home’s windows and doors and let the summer breeze and sun flood your home! Get the stuffy smells out and let the light shine! 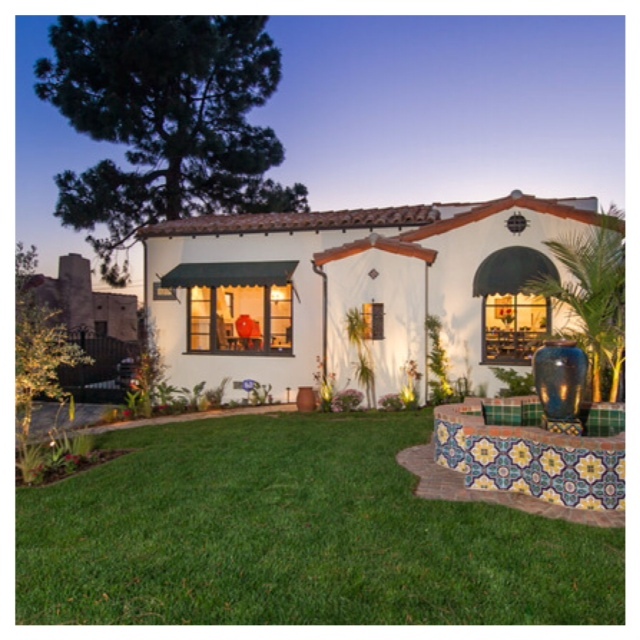 With daylight savings providing longer days some showings may be during twilight hours so make sure the outdoor light is able to flood through the windows allowing your home to have a dream-like feel. 4. When in Doubt – Paint! Perhaps you painted a room a color that looked amazing on the paint chip but after it dried it was not a hit. If you do not think it looks amazing more-than-likely neither will the Buyer. 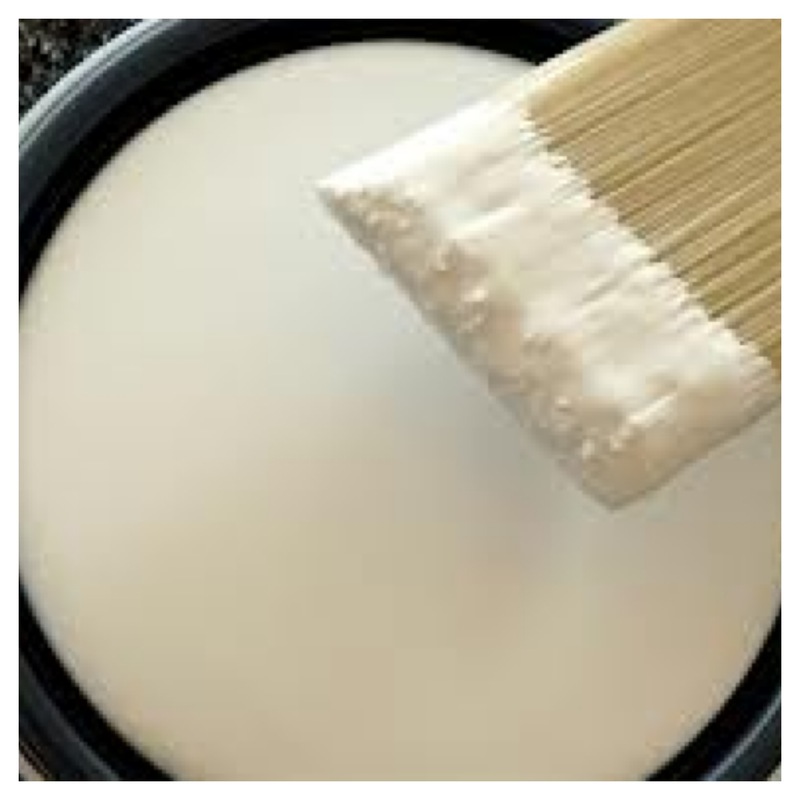 If a room or hallway has too many scuffs or wear-and-tear marks a fresh coat of paint will do your home a world of wonder! 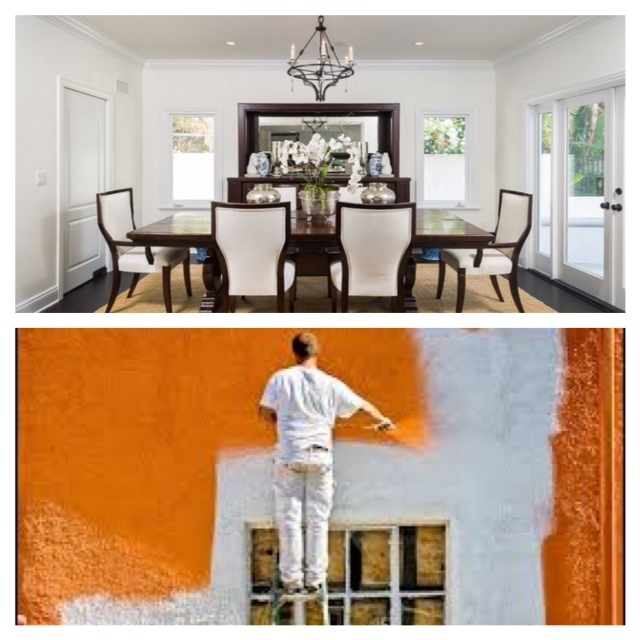 I would highly suggest using white paint – it looks fresh and clean and it does not give Buyers the chance to have an opinion about a color – they are able to use their imagination on how they would use the room for their lifestyle! Who does not love a refreshing summer cocktail!? Non-alcoholic of course! 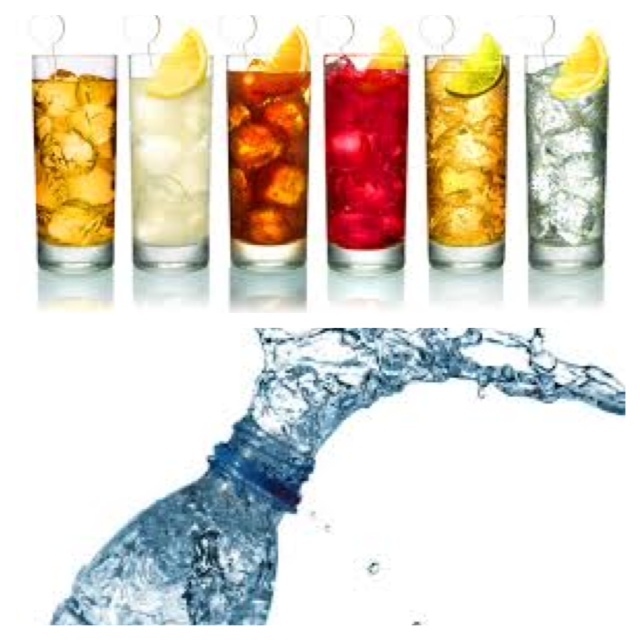 Take advantage of the summer heat and have cold bottled water, ice-tea or a craft of lemonade sitting out for the Buyers. 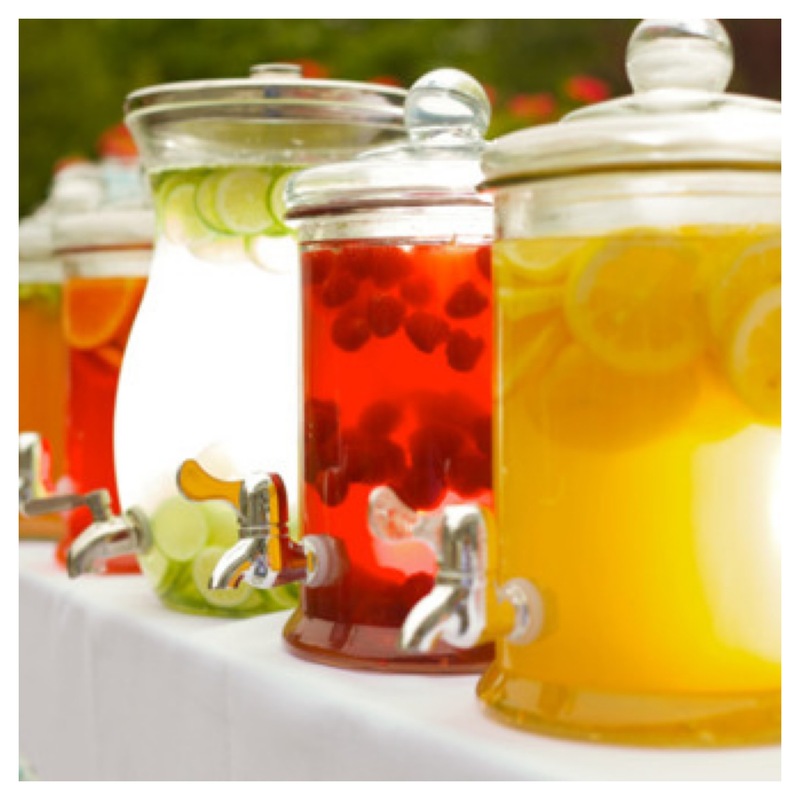 After looking at a string of homes it’s a kind gesture to offer Buyers something refreshing to “wet their whistle”! 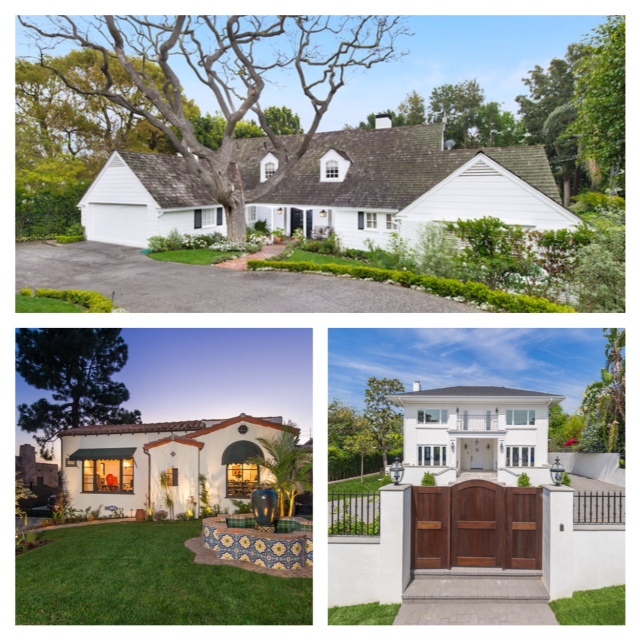 A summer cocktail will not sale your home, but the Buyers will leave your home with a positive feeling … which is key! I’d love to hear from you! Let me know your great ideas to get a home sold this summer!